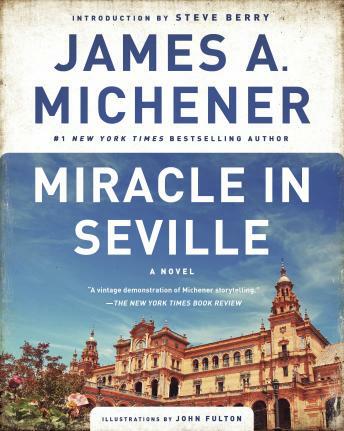 James A. Michener, the Pulitzer Prize–winning master of the historical saga, returns to his beloved Spain with this magical novel of Seville at Easter time, a season of splendid pageantry, thrilling bullfights, deep piety—and the possibility of miracles. An American sports journalist has come to the city to report on efforts by the rancher Don Cayetano Mota to revive his once-proud line of bulls. Not only does Mota pray to the Virgin Mary, but he takes on herculean acts of devotion during the solemn celebrations of Holy Week. With treacherous enemies waiting in the ring, Mota’s struggle taps deeply into life’s mysteries, shaking the newspaperman’s skepticism and opening his eyes to the wonder of faith. Featuring illustrations by the American bullfighter John Fulton, Miracle in Seville is Michener at his most dazzling.